We’ve all received the weekly Target, Old Navy and Bath and Body Works emails, full of rich imagery and specials. News, coupons and more are being delivered constantly to inboxes in lieu of costly direct mail fliers. Email marketing allows companies to send informative and compelling information to a large number of subscribers simultaneously, which also means consumers get the message precisely when a company wants them to receive it. 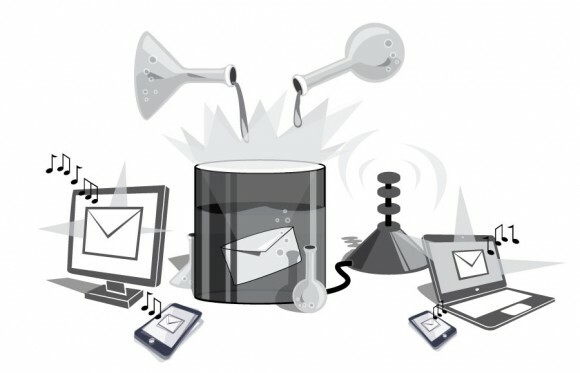 Email marketing makes message delivery seemingly simple and automated. Although you can’t force your clientele to read and thoroughly understand every message, you can provide enticing news and offerings to pique their interest and eventually gain a working relationship. This is the surface goal of email marketing: to generate leads. Leads brought in from email marketing are usually already qualified to some degree as they’ve likely signed up via the website, at a trade show, etc., and were added to a mailing list. If they take action on the message they receive, then their qualification level should be increased. You’ll know they’re both in the target market and interested: two qualifications B2B salespeople dream about. Email marketing is a great way to get out to your audience, but it is easy to overlook the complexities of a truly well-thought-out and developed message. Is it compatible with popular email clients, like Outlook, Gmail, Hotmail and Yahoo? Does it scale properly when viewed on a phone, tablet or desktop? How about the different operating systems within phones and desktops, like iOS, Android, Windows and Mac OSX? These are items a seasoned email designer takes into consideration when creating an electronic dispatch. This ensures your message will hit the audience in a way that captivates them to click through to the website and learn more. First and foremost, an advanced email designer must be fluent in HTML. There are providers who will allow you to drag and drop content into a template, in a “what you see is what you get” fashion, but those generic messages are generally not nearly as compelling as a uniquely branded and well-designed creation. Creating nested tables to align images and paragraphs is where it all starts. Beyond that, altering cell widths and heights to create the perfect spacing is where most time is spent. There are certain best practices that save time, like creating the message inside a centered, fixed-width table with a color-branded backdrop to account for almost all screen sizes, but even those practices are becoming old hat with up-and-coming responsive email templates that expand and collapse with different screen widths. CSS can save a lot of time when designing email templates. A designer can categorize each font size and color that will be used, along with many other customizations, and can simply apply a category to each cell, paragraph and sentence, rather than individually formatting each one using lengthy code. The downside is that CSS is not universally supported, meaning a designer usually still needs to convert traditional CSS into inline CSS. There are websites that will do this conversion for you, but it is normally best to do the code yourself to troubleshoot any incompatibilities. Even if you’re not knowledgeable with design or coding, the important thing to know is that building a customized email means your message influences its layout and, therefore, your message be presented in a much more compelling way. Regardless of HTML and CSS standards, the fact is that the recipients of your emails will continue to use different, and often old, email clients on both old and new platforms. Design could require two entirely different approaches to perfect a message on Outlook 2007 and also on iOS 7. Even then, an email on Outlook 2007 may appear differently on Windows than it would in its counterpart, Outlook 2008 on Mac, and the same goes for iOS 7 on iPhone versus iPad. Thankfully, there are now testing services (Litmus, Email on Acid) where a designer can submit an email template to test across more than 40 different clients and platforms. When it comes down to it, a great designer creates, tests and recreates universally compatible messages that hit the biggest audience as cleanly and effectively as possible. Good post! As a marketer that’s on the strategy ane execution side of campaigns, I enjoyed reading about the technical aspects of email design. In my experience the cost efficiencies of email are balanced with the low response rates: if you normalize the metric to an objective Cost Per Lead ratio, Email is typically more expensive than Newspaper, Paid Search and Direct Mail. However it’s extremely more cost effective than Phone, TV, Catalog and Display CPLs. As a B2C marketer, I’d be curious how the landscape compares to B2B. While different across industries, I’ve experienced open rates around 10%-13 and conversion rates around .3%-.6% for prospects. I agree on the need to utilize email in a customized and timely manner. Trigger-based email marketing that keyed off of list information or user activity can substantially improve every metric through the purchase funnel. Thanks for the insight, Jeremy! Your thoughts regarding ROI on email versus similar marketing methods can definitely be true, but email can be a much more natural catalyst in driving traffic to a landing page, website, or blog. It gives the recipient an inexpensive and easy click to get to the spots where the majority of the digital marketing budget has been spent. Conversion rates we see actually vary quite widely due to the differing nature of each of our B2B clients, but we do see improvement from campaign to campaign as we refine the send lists and increase our CTA and design skills. The marketing automation you referred to is spot on. We are beginning to implement automated responses where a sign-up form leads to targeted and timely messages that speak to the viewer. As they gain more knowledge about the service, they are much more informed when they make it to the buying stage, which makes the sales department’s job much easier.